With a superior smoothness and 92 bright finish, this premium paper is ideal for output of large format CAD, AEC and GIS monochrome prints. Compatible with both dye and pigment based ink sets. 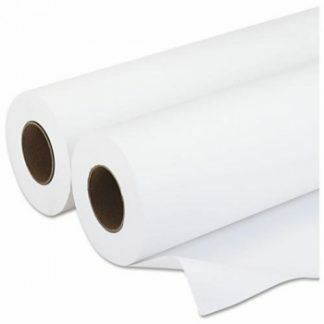 36lb premium white coated paper allows for high ink saturation and offers water fast images, works well with dye, pigment, thermal and piezo inks. 46lb premium white coated paper allows for high ink saturation, crisp images and vibrant color. Coating specially formulated to print on dye, pigment, thermal and piezo inks.